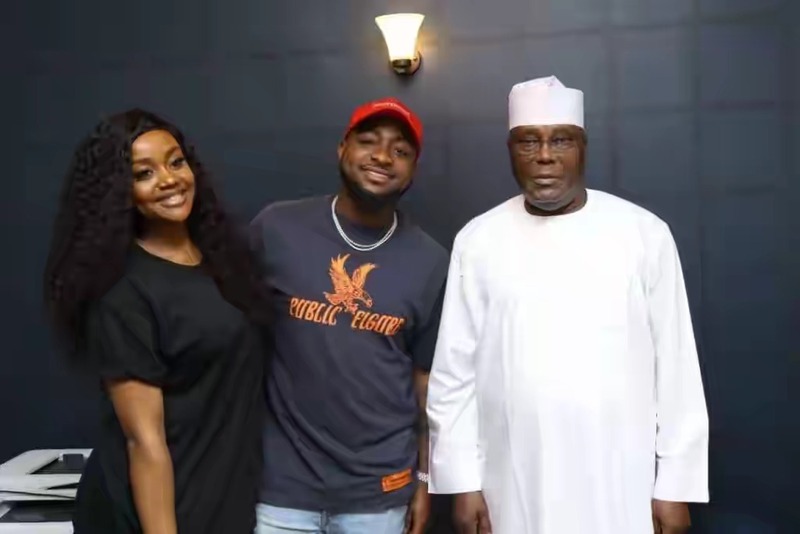 Popular Nigerian singer, David Adeleke, otherwise known as Davido, on Saturday met with the presidential candidate of the Peoples Democratic Party, PDP, Alhaji Atiku Abubakar. Davido met with Atiku alongside his girlfriend, Chioma in his Abuja residence. The singer disclosed this on his Twitter page, hinting of big things to come. Alongside a picture with Atiku, he wrote; “Thank you for having us Sir. Recall that Davido performed at the PDP National Convention in Port Harcourt where Atiku emerged as the party’s presidential candidate.